Gathr - Your film. Your friends. Your theater. Gathr - Your film. Your friends. Your theater. FRANK SINATRA FAWNED OVER HIM. WARREN ZEVON WROTE A TRIBUTE SONG. Sylvester Stallone produced his life story as a movie of the week. 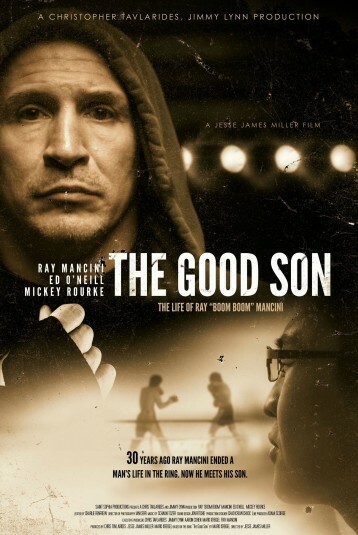 In the 1980s, Ray “Boom Boom” Mancini wasn’t merely the lightweight champ. An adoring public considered him a national hero, the real Rocky. From the mobbed-up steel city of Youngstown, Ohio, Mancini was cast as the savior of a sport: a righteous kid in a corrupt game, symbolically potent and demographically perfect, the last white ethnic. He fought for those left behind in busted-out mill towns across America. But most of all, he fought for his father. Lenny Mancini—the original Boom Boom, as he was called—had been a lightweight contender himself. But the elder Mancini’s dream ended on a battlefield in November 1944, when fragments from a German mortar shell nearly killed him. Almost four decades later, Ray promised to win the title his father could not. What came of that vow was a feel-good fable for network television. But it all came apart November 13, 1982, in a brutal battle at Caesars Palace in Las Vegas. Mancini’s obscure Korean challenger, Duk Koo Kim, went down in the 14th round and never regained consciousness. Three months later, Kim’s despondent mother took her own life. The deaths would haunt Ray and impact his carefully crafted image, suddenly transforming boxing’s All-American Boy into a pariah.